As I work with clients, I am often asked, why hire a professional organizer? Here is an amazing answer from my client Susan. Hire a professional! Where do we get the idea we should somehow develop a skill if it has not happened in ﬁfty-seven years? Do I still yearn to be more organized, yes. I still have to work harder in systems. However, Ellen and I have systems geared to me. It is different now because I am different. I look up because I know my gifts are many and I shine! I can give in those areas, areas others cannot. It was profound when I realized I needed training from Ellen, and that was OK. If she wanted to paint she would need training from me. People go to cooking school, they hire party planners, accountants paid for their expertise, people look to teachers to learn to swim, to sew, etc. they even hire people to help them with fashion. I hired Ellen be­cause my brain does not and never will work like hers. Her giftedness lies in her love of people like me. She is an encourager, she lets me make my own decisions, and keeps my secrets. For one of the ﬁrst times I do not feel judged. Are you ready to make a change? Hire a professional organizer! https://professional-organizer.com/WordPress/wp-content/uploads/2016/07/logo.png 0 0 Ellen https://professional-organizer.com/WordPress/wp-content/uploads/2016/07/logo.png Ellen2009-09-29 18:42:362009-09-29 18:42:36Hire a professional organizer? Wondering about a budget? Here are some ideas to get you started! Create a list of monthly expenses. Write down a list of all the expected expenses. This includes your mortgage payment, car payments, auto and home insurance, groceries, utilities, entertainment, dry cleaning, retirement or college savings and everything else that is money spent. These are the big ticket items. Record ALL your spending. Write down all your expenses, both credit and cash in a daily log. Doing this will make you think twice about unnecessary expenses, just like keeping a food diary makes you aware of every bite you take! After a month, review what you have spent your money on and ask yourself the true value of it. Review this with your partner and confer on what is important, valued and prioritized. Look for ways to make small saving add up. · Make dinner out a once a week splurge! Bring your lunch to work and pack your kids’ lunches. · Curtail your afternoon coffee stop at Starbucks, stops for beverages like soda, and bring your own water in a non disposable container. · Keep your home warmer in the summer and cooler in the winter. You can save 5%–15% on your cooling bills by raising the temperature setting on your thermostat when you are away and don’t need cooling. Keep your thermostat at 78 in the summer and 68 in the winter. Have your AC/Heat checked twice a year to be sure it is operating properly. · Do chores you are paying someone else to do, like mow your lawn or clean your house. · Minimize your dry cleaning expense. · Trade in your car for a less expensive model or purchase a used car instead of new. · Reduce larger expenses by eliminating season tickets to ball games or musical events. · Refinance your mortgage with the new lower rates. If new mortgages are costing at least two percentage points less than the rate you’re paying, refinancing may save you significant dollars. · Increase your deductible on your insurance. Once you have found ways to make your expenses at least 10% less than your income, create an automatic deduction each month that sweeps that 10% into a savings account. Now you are on track to be a stay at home mom! Cultivate a mindset of less is more. Accumulating stuff, whether it is a luxury auto, designer clothes or a big abode, takes its toll. We have more to take care of and it ends up as a burden instead of a blessing. Cultivating a mindset of less is more is thinking through the whether that “stuff” is more important than relationships. In creating our family, we should decide on our values and mission and create priorities as a result. Is your mission to have your children raised in a one income family with a stay at home mom or dad? It will take valuing that goal above all else to make it happen. It is in having less stuff, fewer expenses, a smaller home, less extravagant autos, and more about relationships, that we can accomplish this mission. In Houston, we are notorious for keeping our cars in the driveway and lawn equipment, unopened boxes and more in our garage! 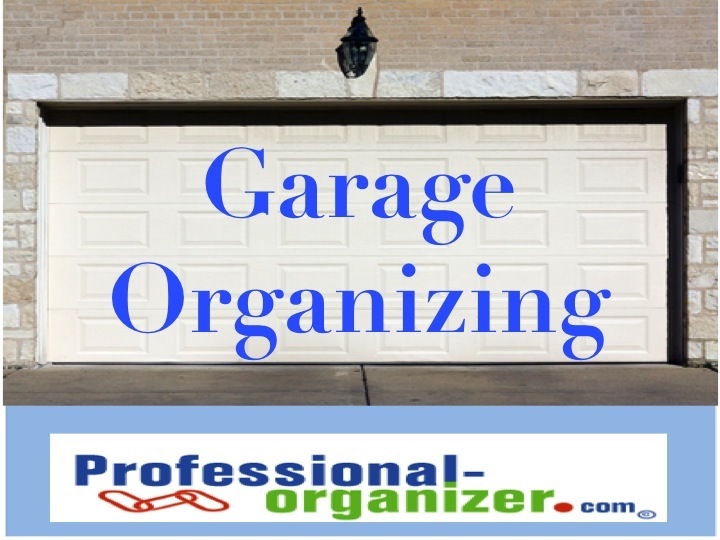 October is a great month to organize your a garage and even have a garage sale too! It is a big project to tackle so be sure to include your family team in the process. With all organizing projects, we need a plan for organizing success! Begin by setting aside 2 consecutive days for organizing your garage. 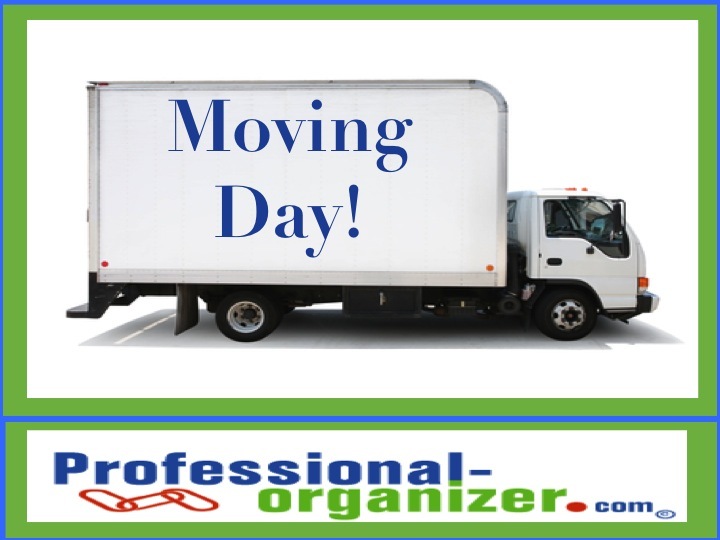 You will need to take everything out of the area, boxes, bikes, recreational equipment or whatever! Enlist your family to assist with this endeavor for them to have ownership of the project and help in the decision making! If a clean space and a way to find toys is not reward enough, remember to find an incentive for your children in this family project. Plan for the biggest parts of what is to be removed from the garage. When is the heavy trash day? You can put items at the curb and have someone else taken them away. Contact Salvation Army to pick up from your home the day after organizing so you won’t have to bring the donations to them. What other large items will be sold and can be listed on www.craigslist.com? Get your plan in action with the big stuff first. Keep in mind when you might use items again! “Just in case” is not a sufficient reason to keep all the items in your garage. Be decisive about how frequently you will use belongings and whether to keep them. Decluttering is just as important in this space as any other in your home. Once you have made decisions about what you are keeping, it is time to define categories for storage. Categories for your garage might be recreation, hardware, tools, gardening, and seasonal. If you have wood scraps, be sure to store these together but don’t keep every scrap. Also, take this opportunity to clean your garage, sweeping out bugs, dirt and more! Once you have created your categories, remember to locate what you use most in the areas of best access. Whatever you use most should be located closest to the door to the house. Items that are used the least can be stored behind or beneath other belongings. Use wall and ceiling space to maximize your area. However, keep as much as you can off the floor. When purchasing organizing products for your garage, retail and wholesale superstores have wonderful and inexpensive products. Garage items can be very heavy and need extra support. Four tier metal shelving units are most popular. Sturdy plastic containers with lids that seal are an excellent way to keep bugs and dirt away. Rubbermaid has products designed specifically for garages with slots for specific tools. Called “Fast Track” it is an easy way to use vertical space where you have lots of it!. As always, be sure to label everywhere including bins and shelving. Monkeys Bars also has outstanding products to organize visually with hooks, shelves and more. If you can see it you know you own it. Is garage organizing a priority for you? Email me what you have accomplished to park your car in there! Getting you and your family out the door in the morning can be the most chaotic part of your day. It comes down to some simple organizing strategies and routines. Do as much as you can the night before. Yes, really! Set the table or set out super simple take aways for breakfast, pack the lunches (except cold stuff), have back packs loaded and by the back door, get you and their clothes ready and set your alarm. The less you must do, especially for the non-morning people, the better. Set up work zones: Landing strip and command center. The landing strip is a spot where you are going to see all the stuff and take it with you. It can be a place with hooks for backpacks and cubbies for shoes, or just an assigned location. (At our home it is the angled section of the back steps!) When you see it, you can easily grab and go! The Command Center is the paper station for the important action papers. Having one spot where the kids papers can be retrieved, your information easily accessed, and a drop slot for bills makes the difference as you head out the door in the morning. No more looking for last minute papers! Morning and evening routines. Establish and write a list of the routines that your kids and you need to do daily. You may not need a list, but they do! It can be written on the mirror in the bathroom with crayola bath markers or dry erase markers. Morning routines including dressing, brushing teeth, eating a small something, and then getting out the door. If possible no chores at this time, except feeding the pets or bringing hamper to the laundry room. Evening routines include homework in backpack at landing strip, clothes out the night before, laundry put away, clothes in hamper, set alarm, read, early to bed. Apply the same to yourself! Getting up on time depends on going to bed on time. It is harder to get up if you have gone to bed late. Setting a good bedtime for everyone, including yourself, makes a big difference. We all need 8 hours of sleep so set a bedtime that allows for that. Many of my clients take advantage of those late hours for their “playtime.” Resist the urge and get to bed on time for a happier tomorrow! Build in a little extra time. If it truly takes 15 minutes to walk to school, allow 20 minutes of time. Drive times in Houston can take an extra 15 minutes on any day. We are most stressed when we feel behind or out of control. Allowing some “white space” for travel, getting in the car, and that little something that always goes wrong gives us a better mind set for starting the day. This is the gift of time I have personally given myself. I have a newspaper to read in the car and take a few extra minutes to regroup if I arrive early. Get everyone on board with the plan and be consistent. A positive approach works best with rewards for catching family members “doing it right.” Host a family meeting where the morning routine and expectations are discussed and finalized. Getting out of the house can be the hardest part of the day! What strategies are you using to smooth out the bumps? could this be more adorable? We all want our kids’ lunches to be more nutritious. What better way to add salad, veggies or yogie than with a new Rubbermaid Take Along and Blue Ice shape! This is an adorable way to pack a nutritious lunch for your kiddles. It brings a smile to everyone’s face. In adorable shapes, like this monkey, who wouldn’t want to bring lunch. My grand daughter squealed with delight when she saw it! She took it in her lunch the first day of school. Her mom always packs her a healthy low fat lunch including yogurt and string cheese, so this is a convenient addition to her sack lunch. We keep it in the freezer, pop it in early in the morning and things stay cold all day. Pop it back in after school and it freezes overnight! Other ideas for fun lunches? Want to win this new product? I am hosting a contest for a Rubbermaid TakeALongAFunLunch ice. Deadline for submissions is September 21.
https://professional-organizer.com/WordPress/wp-content/uploads/2016/07/logo.png 0 0 Ellen https://professional-organizer.com/WordPress/wp-content/uploads/2016/07/logo.png Ellen2009-09-14 17:38:382009-09-14 18:18:47Rubbermaid Rocks! Our workplace attire is taking a new twist as we redefine the classic style of business. If you have classic work place suits, Dress for Success is the place to contribute to the success of others needing a fresh start. If your suits don’t fit, are not your style, or you have started a new business endeavor, donate these for women who are starting out professionally. Find a local Dress for Success at www.dressforsuccess.org. Each March Dress for Success holds its Send One Suit Drive. However you can donate all year! Also needed are neutral purses, neutral shoes, and hosiery. What qualifies for Dress for Success? Traditional suits with jackets and either pants or skirts in neutral colors. Please dry clean the suit and bring it on a hanger. You are making a difference! Moving is an arduous task at best. Take all your stuff, stuff it in a box, stuff it in a truck or storage, and unstuff it! Now this is not for sissies! In the last few weeks several moving jobs have been a priority. So here is a short list of what I have learned. You have less, you have less to pack. It is as simple as that. Live a life of relationships, not stuff. Begin decluttering as soon as you learn you are moving. Even better, declutter regularly. Remember that game, if I had to move to Australia, what would I take? Not much. So really be decisive about what is important to keep. Moving requires planning and preliminaries. Have sources ready for boxes (craigslist.com or uline.com) and paper. Scope out storage and movers from reliable sources. Do your homework to have reliable professionals in handling your stuff. Have lots of sharpies for writing on the boxes too! It really is important to keep up with the details. Get your paper out and keep a long list! Label all the boxes with the list of stuff in them. Keep a list of the boxes. Label by room, name of person’s stuff and what is in there. Pack your first night bag – the stuff you need as soon as you arrive in your new destination. The more the merrier! If you have kids, be sure to plan for babysitters. Having a lot of help makes the work more fun and faster. Set aside specific times you are working and provide beverage and snacks for the worker bees. Delegate tasks by each team member’s strengths. Who is good at packing china or babysitting the buddies? Take good care of yourself. Plenty of rest, fruit for snacks and don’t over do what you are capable of doing. Leave the really heavy stuff for the professionals! Wishing you a successful move, wherever that may be. https://professional-organizer.com/WordPress/wp-content/uploads/2016/07/logo.png 0 0 Ellen https://professional-organizer.com/WordPress/wp-content/uploads/2016/07/logo.png Ellen2009-09-03 08:42:342015-03-02 08:23:18Moving Day! Fall means getting back to business for families: the business of school, work and life. Join me for a free teleclass and get your family off to a great start for the school year. A teleclass is taken in your home, no traffic, no looking for parking! Come as you are. Everyone calls in to the same phone number and is on the same line (long distance rates apply but you can call from your cell phone).